It's the invention nobody knew they wanted, until now that is. DS has just unveiled the UK’s first integrated contactless payment car key. That's right, you can now pay for things with your key. DS has introduced this feature as part of the DS3 Connected Chic. The innovative device is exclusively available to customers who place orders for the DS3 Connected Chic in September 2017. 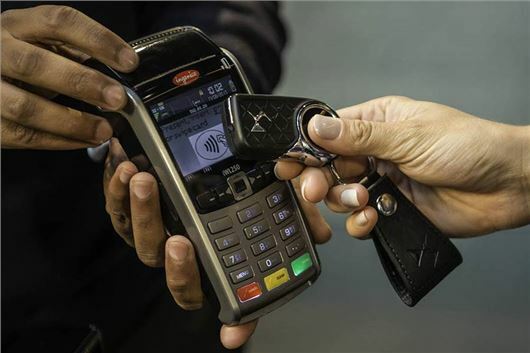 It uses Radio-Frequency IDentification (RFID) technology to act as both a car key and a convenient way to pay with contactless technology. The two-in-one key, powered by bPay, is the first of its kind in production and integrates the bPay payment chip. Purchases can be no more than £30 at a time and can be made at more than 490,000 locations across the UK. Customers will also be able to track their spending, top up their balance, and take control to block or cancel the contactless payment element using the dedicated bPay app available on iPhone or Android devices. The bPay payment chip within the car key is available to anyone with a UK-registered Visa or MasterCard debit or credit card. Users can add funds to their digital wallet using the mobile app, online through the bPay web portal or set their account to top-up automatically when their balance falls below a pre-set level. All payments come with the same fraud protection that's applied to contactless cards. If lost or stolen, users can remotely shut down their contactless accessory via the bPay mobile app or bPay website. The maximum balance you can have in your bPay wallet is £200. This seemingly unnecessary invention is a nice talking point for your friends - before they mercilessly mock you for buying into the idea of using your keys to pay for a round of drinks. It's bulkier than a debit card and more expensive to replace if you lose it. It's also slightly more awkward to carry than your phone, which you can pay with. While there's nothing wrong with the idea, in fact it just builds on the already very successful use of contactless cards, it just seems to be novelty for novelty sake.